The largest time-lapse photography project that I’ve worked on to date, involved seven cameras running simultaneously while recording six graffiti art murals being painted – all during the course of one afternoon! 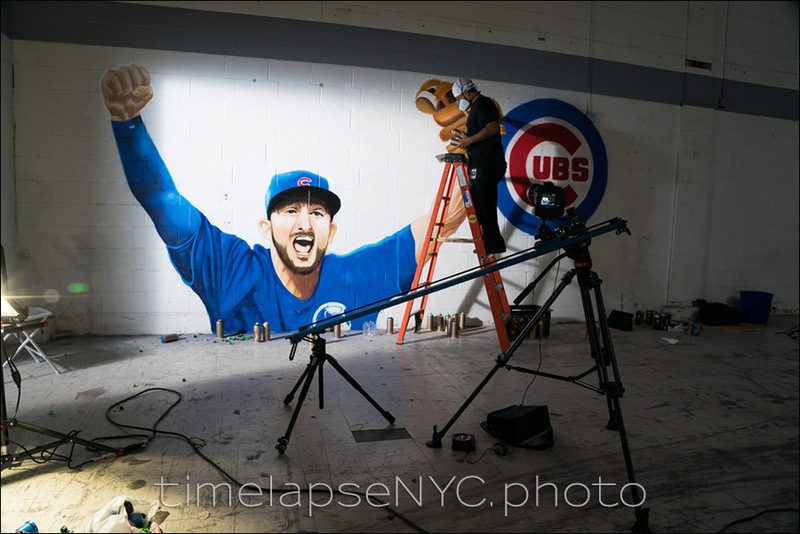 These time-lapse sequences were shot for an agency that was creating a promotional video for MLB. The concept behind this was that they had five artists painting murals of the six most likely drafts for MLB this season. The agency had a team there shooting video, and I had to do time-lapse photography of these graffiti art murals being painted. The challenge here was then simply one of logistics – making sure everything was set up and in place, ready to go before everyone started. All cameras were synced and running properly at the same time! The other challenge was doing all this while wearing a respirator mask protecting against the paint fumes. 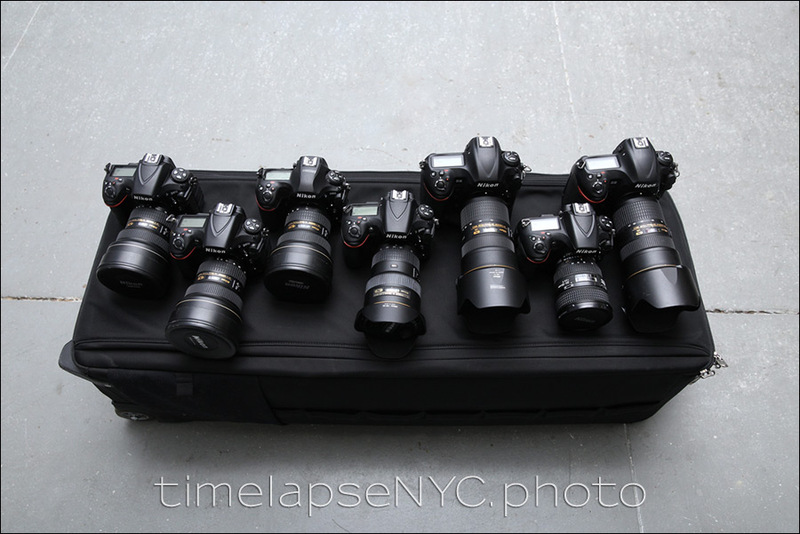 This behind-the-scenes video clip below shows the two motion controlled time-lapse rigs in action. These motion-controlled dollies move the cameras gradually during the 4-hr long sequence as the particular artist painted a mural giving a cinematic movement to the final timelapse video, as the perspective gradually changes throughout the specific sequence. Of the seven cameras used, four cameras were static, and two were on these motion-controlled dollies, and another camera was for a hyper-lapse of the entire event. The main video at the top shows the compilation of six of those cameras (but not the hyper-lapse). For three of the four static camera views, I added a zoom effect in post-production to maintain the energy of the event in the final video.